I guess I should give you an idea of how long this story goes. Get this, it'll be 198 pages long. Okay, just kidding, it'll be between 14 and 16 pages total. It's an easy reader, remember? Anyway. 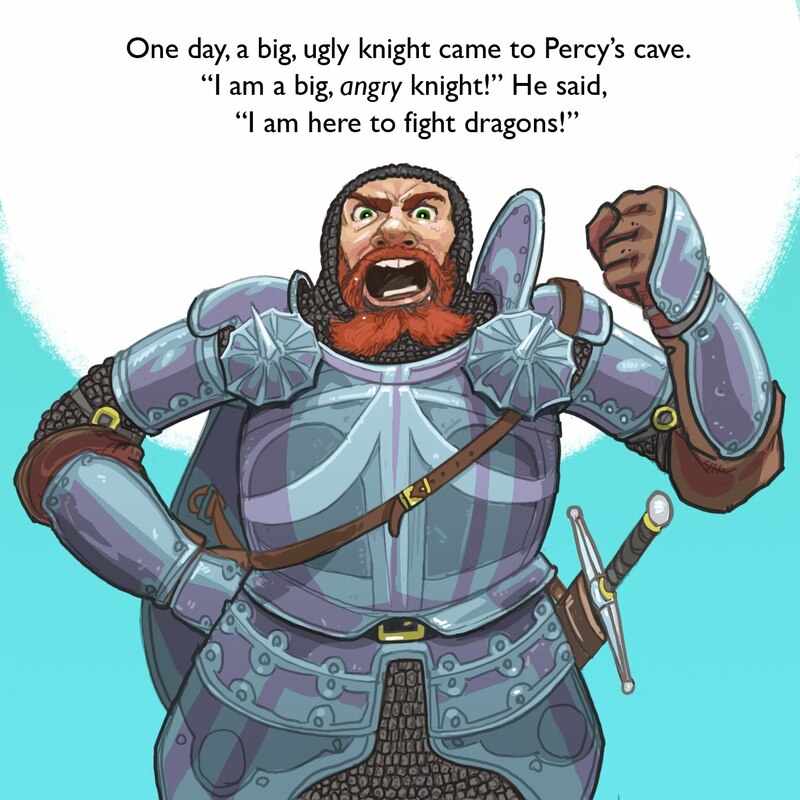 the introduction of the big, ugly knight will be a cliff-hanger. You'll have to wait until 2011 (Monday, to be exact) to see what happens next. Happy New Year! I love the concept of a whole new year. I hate the actual holiday. Can't we just glom it onto Christmas day and call it good. Ugh. Sayonara 2010! Bienvenu 2011! I don't have an early reader here to test it on, but I think the text is set apart and bubbled very well, so they shouldn't get too distracted by the fabulous art.